As animal welfare professionals with 25 years of combined experience in the veterinary, education, protection and advocacy fields, we found it difficult to readily locate animal-related resources, much less confidently direct people. There’s an abundance of information and support available but it’s not always easy to find. Oftentimes, non-profits don’t have the money to advertise widely, links may be broken, sites no longer exist, and information is outdated and misleading. For years, even before we had ever met, we would grumble, “If there was a central hub for all things animal-related within the community, more people might take advantage of what’s out there”. Not to mention, it would make our lives easier since we have been designated the “go to people” for all things “animal” amongst our friends and family. Flash-forward to 2009, when the two of us met and casually shared an idea that had been brewing in our heads for several years. We joined forces – spent several years researching and assessing the local “animal scene,” both on and offline. Then, once we finally found the right web design and development agency… voilà, AnimalSource.com was born! 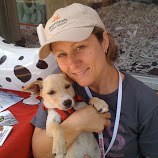 After graduating from veterinary school at Virginia Tech in 1997, Laura worked in private practice for several years before transitioning to shelter medicine and high volume spay and neuter. Currently, she’s the Managing Director on the Veterinary Advisory Board at 1st Care Animal Health Clinics. Through 1st Care, she runs mobile wellness and vaccination clinics where she travels around Los Angeles meeting a multitude of people and their pets. Laura has a great ability to connect with her clients while encouraging responsible pet guardianship. She’s notorious for carrying around a giant file folder full of local pet resource handouts. Perhaps now, with the launch of AnimalSource.com, she can direct people to this site and as a result, more trees will be saved! A native of Austin, Texas Jennifer started her post-college career in sunny Los Angeles working in television production and entertainment marketing. Along the way, she fostered (then adopted) a stray Jack Russell mix named Lily, who opened her eyes to L.A.’s homeless pet epidemic. It was at that point, that she took a 180-degree turn, devoting her work-life to the world of animal rescue and advocacy. For eight years, Jennifer worked for Best Friends Animal Society in Los Angeles, a nonprofit organization where she helped to build model no-kill programs, partnerships and leading initiatives. 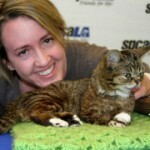 Currently, she is a marketing consultant for small businesses and non-profits and runs a pet care company.